Once again Truform Laser Dies shows its commitment to the Die-making industry. This year has seen significant investment in machinery and equipment at Truform Laser Dies, as well as an investment in training and further upskilling the team in these new technologies. As a result, we believe our support to die cutting services across the industry are probably second to none across Europe. A “Rotax Plus” rule processing system for Rotary dies of all diameters. Both machines were installed seamlessly into our operation in mid-February and were fully operational within 2 weeks. 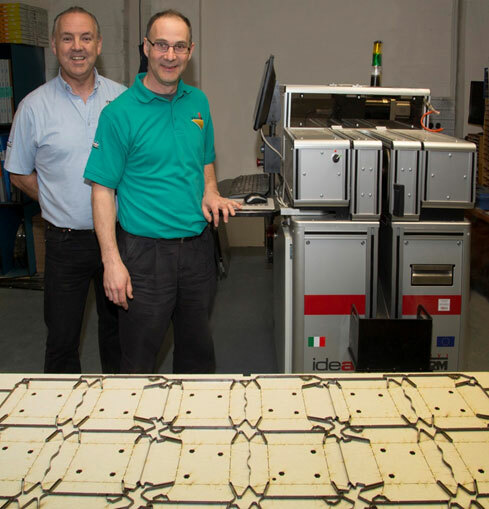 For flat dies, we have installed the ‘Idea’ system which is a perfect fit for our business and allows us to produce rules for Folding Carton and Corrugated flat dies – incorporating all the technological advances we previously had (broaching etc.) while taking nicking and other detail in-line. Rules produced from this machine are 95% ready for insertion into any typical cutting die. This allows us to shorten the process time while maintaining the very highest quality standards. It generates extra capacity in our die-making department thereby allowing for higher volumes to be produced with no impact on delivery schedules – a ‘win-win’! 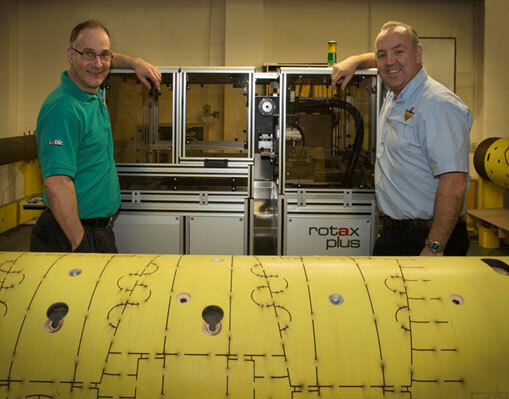 As the rotary die side of our business continues to grow, we have also installed a Rotax Plus rule processing system from ServiForm. This recent investment in the two ServiForm machines is only the latest in an ongoing programme of investment. Back in January 2011, we made a strategic decision to acquire Container Graphics Manufacturing and this has had a significant, positive impact on the business. Around the same time, we added a 2.5Kw Rofin Flat and Rotary laser from Mechtronic in 2011. In 2014, we installed a DRD Allrounder (again a first for Ireland or the UK) which allowed us to bring braille manufacture (punched and milled), milled plates and other capabilities in-house. All of the above capital installations are supported by state of the art CAD functionality and a team of employees who excel in designing and manufacturing die-cutting tooling of the highest standard. As an organisation, we continually strive to bring value and excellence to our customers, as demonstrated by our commitment to re-investment. In the years to come, we plan to further strengthen and develop our position in the Folding Carton, Corrugated and Rotary Corrugated markets. Alliance with Container Graphics Corp., U.S.
With our close association with Container Graphics Corporation in the US, we continue to offer a comprehensive range of materials to the corrugated industry all across Europe. This includes many production consumables used in a corrugated plant and many consumables used in the manufacture and use of Flexographic Printing Plates. Our strong link with Container Graphics allows our customers to access a huge database of resources, knowledge and patented products. In addition, the strength and depth of expertise that prevails within Truform Laser Dies Ltd supports us in bringing confidence to our customers and helps us to maintain a position as a leader in the provision of technical die-cutting solutions that aid in the manufacture of corrugated cases and folding cartons. Contact us today to learn more – we look forward to your call.